For horses and ponies that gain weight on fresh air, have cresty necks and fat deposits around the tail and shoulders. LamAlert is an all round product to deal with the above and also can to be fed as a daily balancer. LamAlert is a result of extensive research and contains botanical extracts. 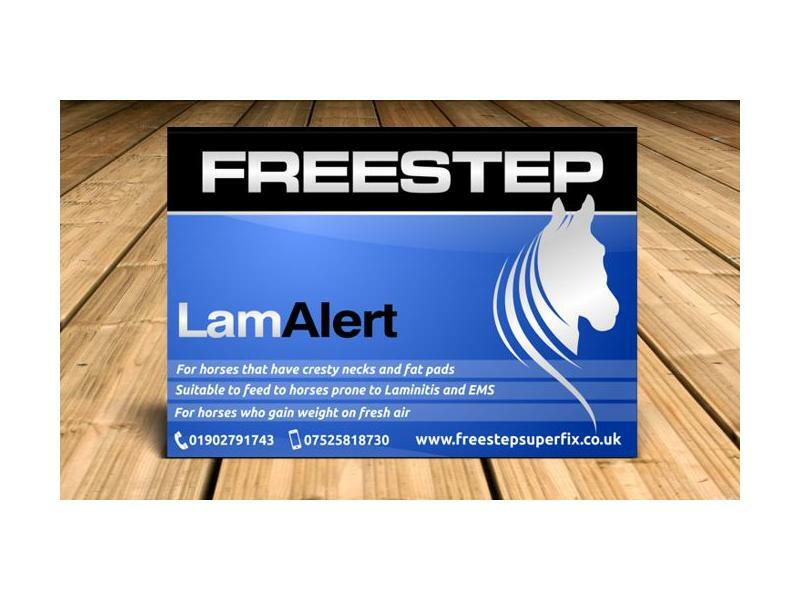 LamAlert is suitable for ponies that are prone to laminitis and can be fed to ponies to support maintaining normal blood glucose levels. Daily requirement is one level scoop, 500g will last around 16 weeks. There are currently no questions for Freestep Lamalert - be the first to ask one!